High-speed Rail (HSR) is a technological transportation advance that has raised the interest of policy makers and researchers worldwide. The study of High-speed Rail is a recent phenomenon but has received increasing attention due to the extension of this mode of transportation around the globe. Evaluating High-Speed Rail contains some of the most recent and cutting edge studies on HSR from different disciplines. The book is organized around a variety of key topics related to the evaluation of High Speed Rail projects and experiences. These topics include: the economic appraisal and evaluation of High-Speed Rail projects; the evaluation of indirect and direct effects of High-Speed Rail; its territorial, redistributive and environmental impacts; its contribution or limitation to urban growth; and the management of challenges created by the arrival of High-Speed Rail lines to core cities. It also covers the contribution of High-Speed Rail to tourism and its impact on intermodal competition, with especial consideration to air transportation. Chapters analyse the expected effects of introducing on-track competition and designing public-private contracts to develop new lines. 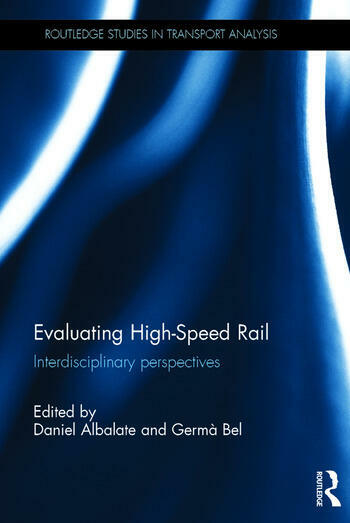 This cutting-edge volume offers rigorous analysis from top researchers in the field with a clear intention to deliver policy implications and provide the latest analysis on the impact of High Speed Rail. This book is suitable for students and academics interested in transportation infrastructure, economic impacts of public investments, mobility, planning and urban affairs, as well as researchers and policy makers in the transportation and infrastructure sector. Daniel Albalate is an Associate Professor at the University of Barcelona, Spain. Germà Bel is a Full Professor at the University of Barcelona, Spain.